Kimberly is a native New Yorker who found herself following love to Cincinnati where she had four kids and began writing historical romance and women’s fiction. When she’s not homeschooling her children and making other people’s words shiny in Track Changes, she loves teaching writing, scouring Goodwill for cute outfits to feature on Instagram, and reading good books. Lots and lots of books. Kim’s work has been featured in print and online magazines and she is (somewhat) patiently waiting to hear from publishers regarding her novel set in her two favorite places—New York and India. Justin was born in Cincinnati, OH. He began writing poetry in September 2001, during his freshman year at Hughes High school. After he graduated in 2005, he was introduced to the art of Spoken Word during his tenure at UC, where he graduated with a Bachelors of Arts in English with a focus on Creative Writing. He was given the opportunity to compete in Poetry Slam competitions on local and national levels. He won the Queen City Poetry Grand Slam competition in 2012, where he earned the privilege to lead a team to the National Poetry Slam in Boston Massachusetts in August 2013. In 2014, Justin was given the honor of joining True Voices of Cincinnati, where he was able to offer his gift and passion for spoken word back to God. Since then, God has been using him to minister the message through the use of his poetry in ways that still seem unimaginable. Wendy started dancing at the age of 4 in Pennsylvania where she was born and raised. Married to her high school sweetheart, she and her husband have been living in Cincinnati since 2001. They have two daughters and worship at Crossroads East Side. As a student, Wendy trained with Pennsylvania Regional Ballet, Central Pennsylvania Youth Ballet and Boston Ballet. She received a Bachelor of Fine Arts in Dance from Wright State. After dancing with the Dayton Ballet II for 3 years during college, Wendy danced professionally for the Dayton Ballet from 1995-2000. Her teaching experience includes all ages from preschool through adult, spanning over the past 15 years. She has been serving as Ballet Reflect's Assistant Director and Sr. Company dancer since 2013. Wendy has also serving as the Director of Ballet Reflect's Jr. Company. Steven J was born and raised in Pennsylvania and is a proud graduate of Penn State University where he earned a Bachelor’s degree in Chemical Engineering. He and his wife Wendy have been living in Cincinnati since 2001. They have two daughters and worship at Crossroads East Side. He currently works for Marathon Petroleum as a Technical Services Supervisor. Steven’s many years of supporting his wife in her dancing has given him a great appreciation for the arts. He enjoys using this background as well as his technical skills to assist behind the scenes with RWAC productions. He seeks to glorify the Lord in his stewardship of funds as the RWAC treasurer. Amber was born and raised in Cincinnati, Ohio. She and her husband, Alex have 5 beautiful children. She is a Cincinnati Christian University Alumni with an AA in Biblical Studies and an AA in Deaf Studies. She attends Vineyard Church Northwest with her family. Amber has been dancing for over 20 years and her background includes training in ballet, davidic dance, modern and other styles. She has been choreographing and teaching ballet for 11 years. Her passion for dance later turned into a longing to see this art form returned to the Lord. She began dancing with local Christian companies in 2000 and 9 years later, founded Ballet Reflect. 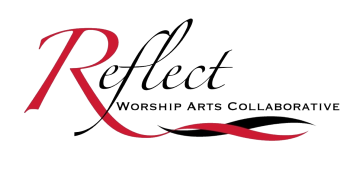 In 2012, the Lord began to speak to her about his desire for the arts and laid on her heart the vision of Reflect Worship Arts Collaborative which was later founded in 2014. Amber strongly believes that God has something to say through the arts and she is dedicated to allowing God to use RWAC as a voice.